Mockplus is a simple, code-free, easy-to-learn and use prototype design tool that allows the user to totally focus on the design instead of spending time on learning the design tools. Mockplus can be of great help for software development companies and teams for prototype building. It helps companies in the following ways: Mockplus offers easy and quick component-based design which can be done by simply drag-and-drop, no programming background or additional learning process required, saving you a lot of learning time and learning cost. Mockplus currently offers built-in drag-and-drop components, and will add advanced interactive components soon. Pages and components may be cloned in a single-click. Simplified Mockplus export options allow designs to be quickly sent to images or HTML. Productivity is further enhanced by an easy-access page and component libraries. Mockplus “Group” feature: combine components to create a customized component, which can be further edited, ungrouped or nested again. 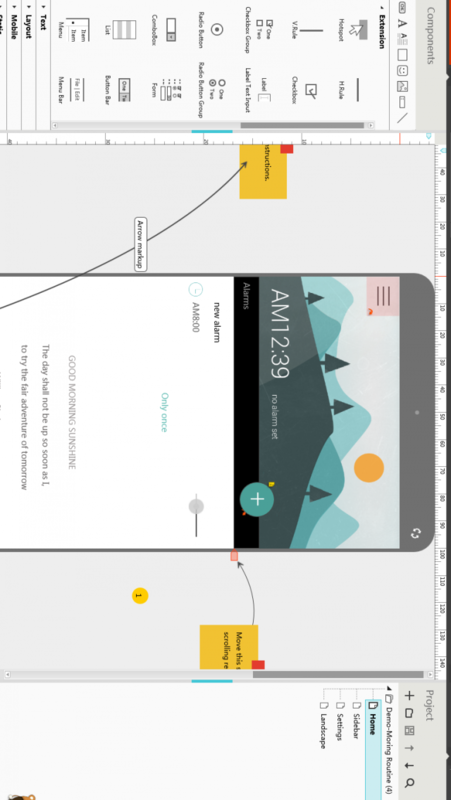 The Sketch Style feature preserves design sketch quality. The hand-drawn styled components keep all lines and control exactly as they are drawn. The All-in-One tool (included in the Free Trial) makes it easy to create prototypes for any mobile, desktop, and web apps.